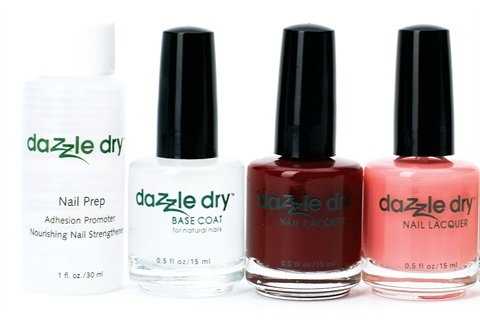 VB Cosmetics’ Dazzle Dry Quick Dry Nail Polish System can dry up to 75% faster than many other polishes. Most polish coatings take as long as 20 minutes to dry, but VB Cosmetics polishes incorporate light-sensitive compounds called methacrylates that quickly solidify during exposure. After 10 minutes you will be able to tap the polished nail with another nail without causing any dents or gouges. The system includes a top coat, base coat, nail prep, and lacquer. For more information on this product, go to www.vbcosmetics.com.